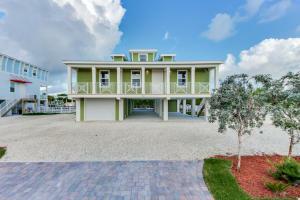 Brand new construction in the Florida Keys! 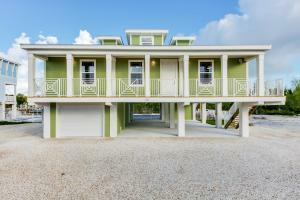 Imagine owning your very own vacation home in Paradise! 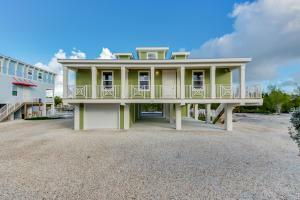 This beautiful 3 bedroom, 3 bath home includes a den and enclosed garage. Imagine drifting up to your very own 60 ft boat dock and tie up after a day of fishing and then take a dip in the beautiful over-sized swimming pool. This home features granite counters in the kitchen,Stainless Steel Appliances, Impact windows, a metal roof and so much more. Choose your granite and flooring. Last but not least the City of Marathon allows for weekly rentals so use it as much as you want during the year, then rent it out the rest to help cover your expenses - You can't miss out on this deal!!! Listing provided courtesy of The New Home Spot Inc.